This Batman Joker Goon Convertible Bag is no joke, but is very cool. 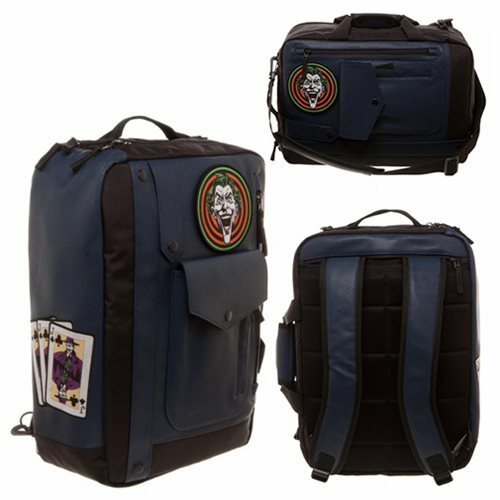 With a large pocket and a frightening image of the Clown Prince of Crime on the front, and a graphic of Joker-styled playing cards on the side, the convertible bag boasts handles and straps so you carry it in the manner most comfortable to you. Harley Quinn ordered one of these for her puddin', and so should you! Measures 17-inches tall x 12 1/2-inches wide x 5 1/2-inches deep.